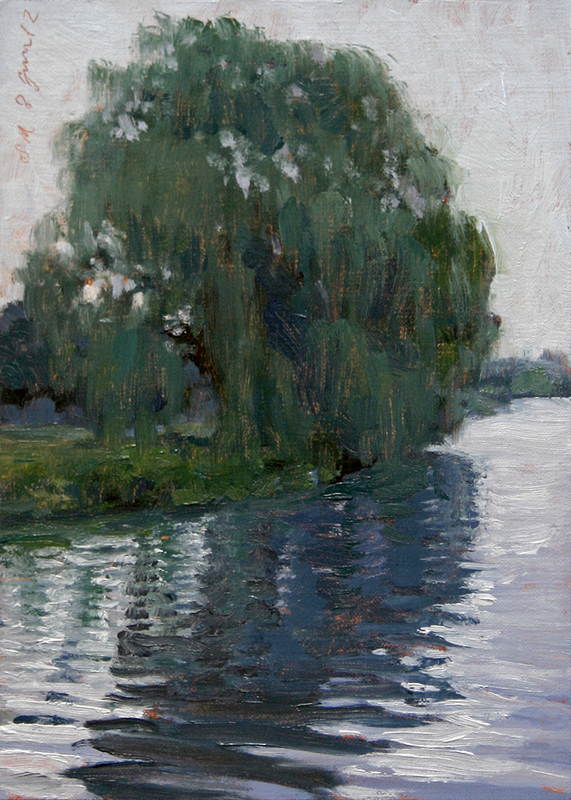 This painting is an industrial view of the Rouge River. 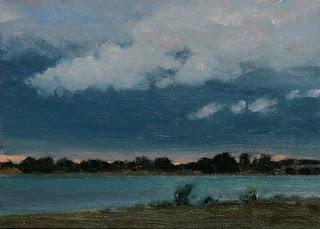 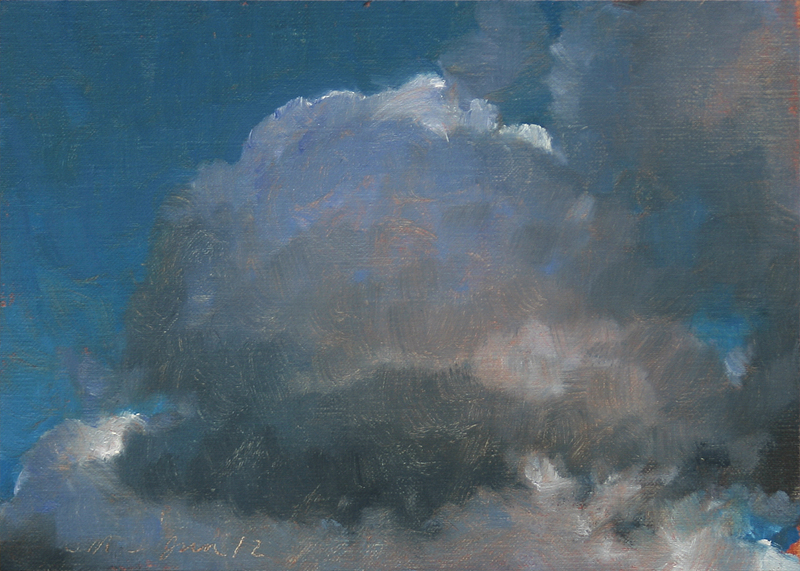 This daily painting is a view of a dramatic sky over Detroit viewed from Belle Isle Park. 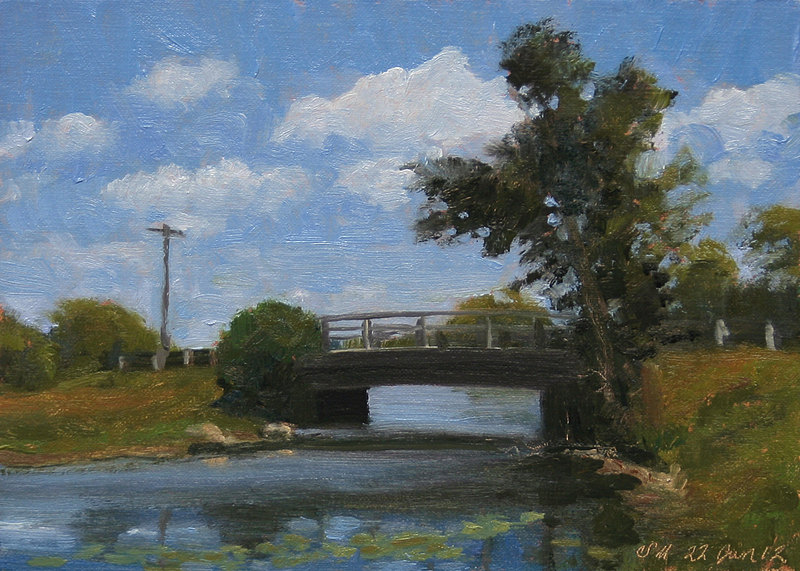 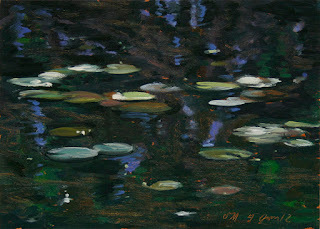 This daily painting is a view of clouds, reflections, water lilies and a bridge on Belle Isle Park on a beautiful summer day. 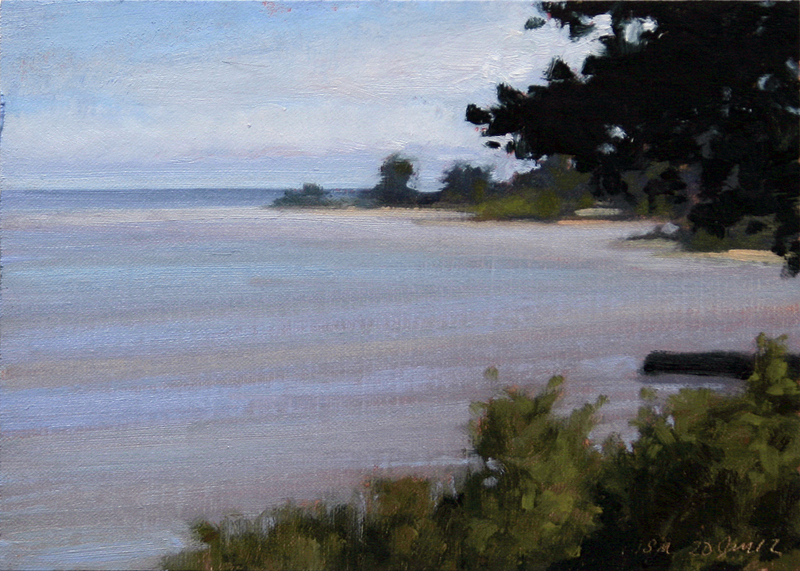 This daily painting is a view of the shoreline along Lake Huron. 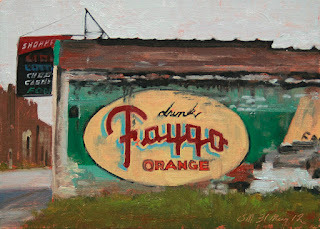 This painting is a view of the colorful swing bridge to Zug Island in Detroit. I haven't been posting as many new daily paintings lately because I have been working on some larger gallery pieces. 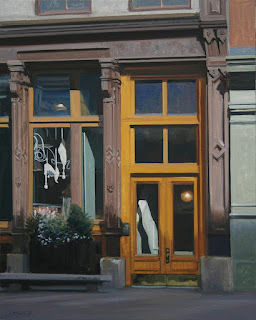 This is the second of two new gallery paintings that will be available in the City Streets group show at The George Billis Gallery. See below for details. 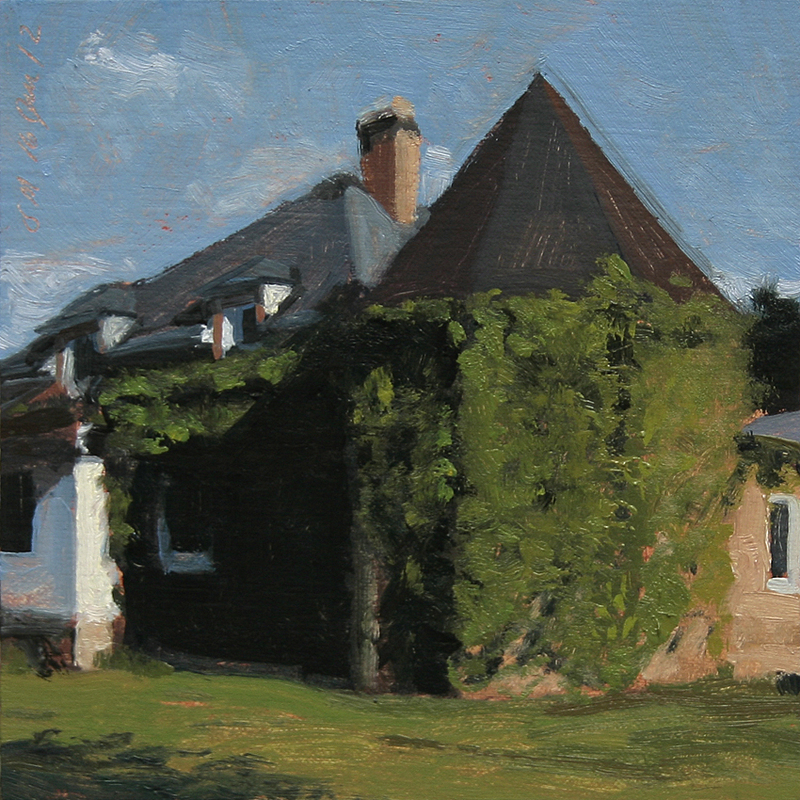 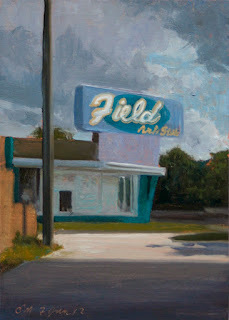 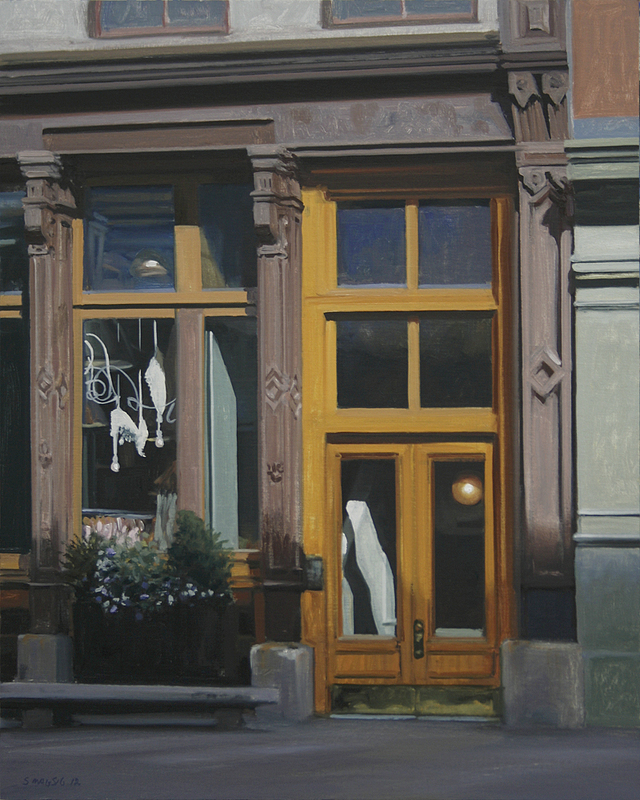 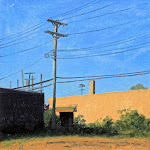 This daily painting is a view of the Field Art Studio building on Woodward Ave. 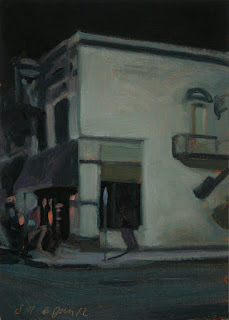 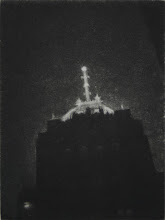 This daily painting is a nocturne view of the Butchers Inn at the corner of Riopelle St and Winder St in Detroit's Eastern Market. In the summer months the market is active all night long with hi-lows, trucks and people moving about. 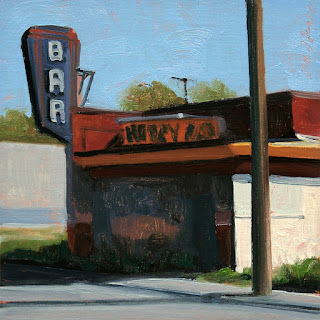 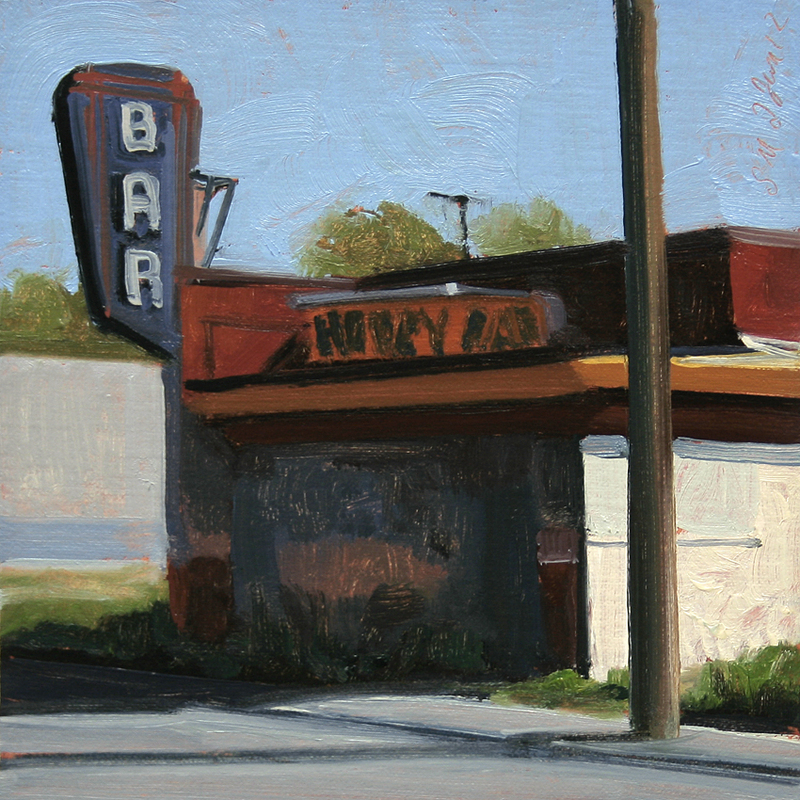 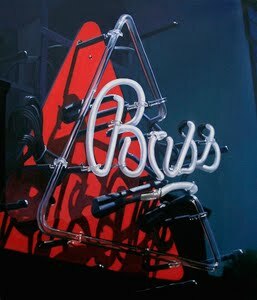 This daily painting is an urban landscape view of the Hobby Bar on Linwood St in Detroit. 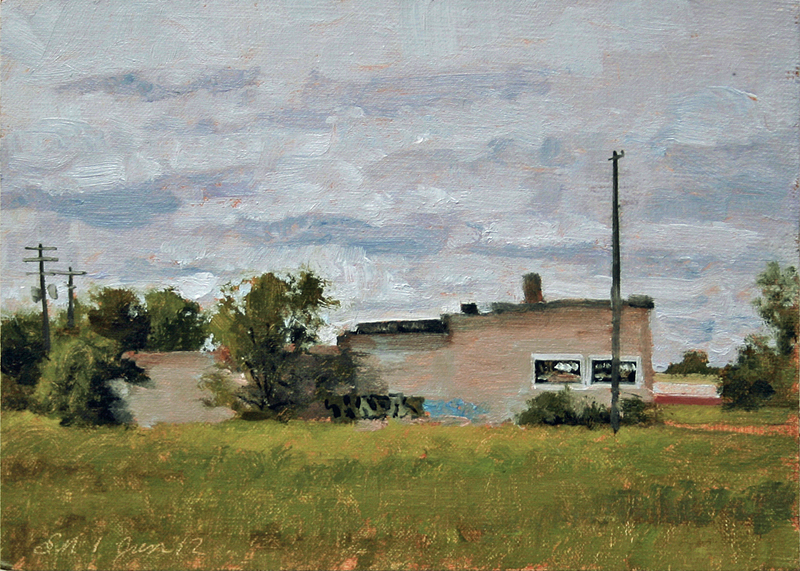 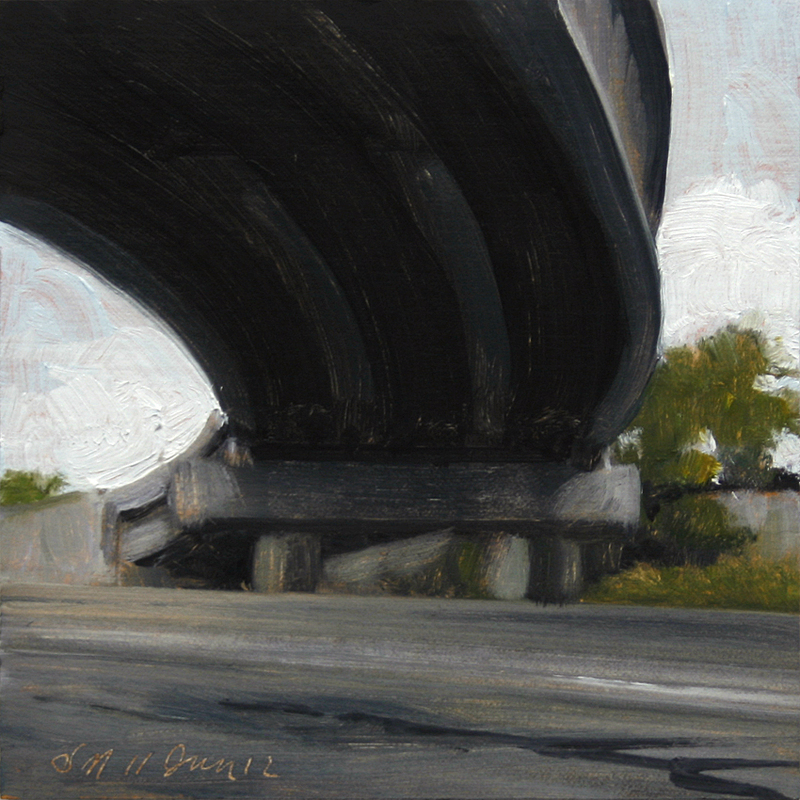 This daily painting is an urban landscape view of a building rising from the urban prairie. 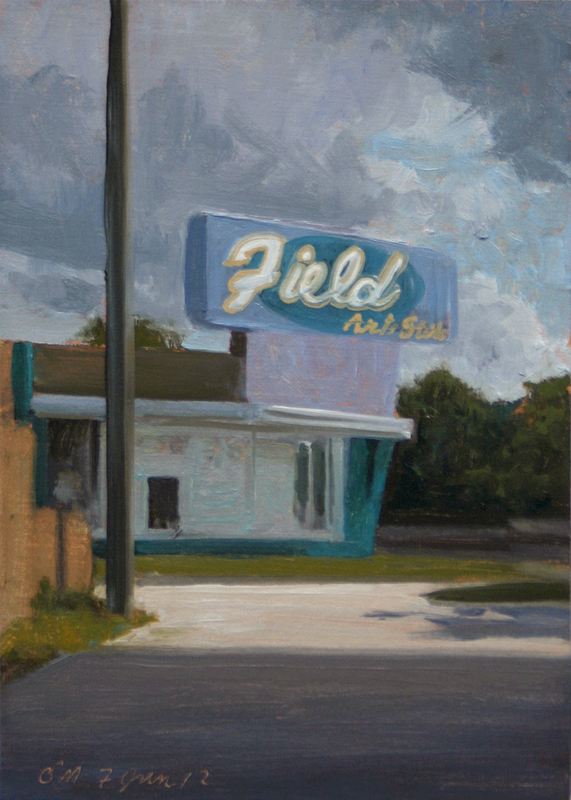 There are vast areas of land like this in Detroit. 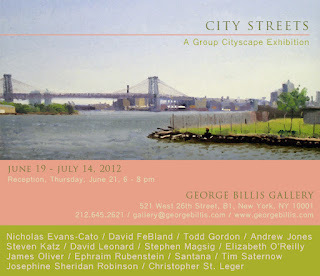 The city is trying to figure out how to utilize these spaces.